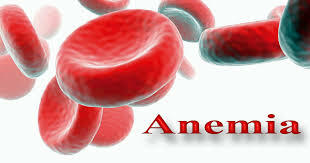 Anemia occurs when a person has lower-than-normal levels of red blood cells (RBCs) in the blood. There are many factors that can contribute to lower-than-normal RBC counts, including age, viral infections, and certain chronic diseases . Iron-deficiency anemia is the most common type of anemia, which occurs when your body does not have enough of the mineral iron. Your body needs iron to produce a protein called hemoglobin, which is responsible for carrying oxygen to your body’s tissues. Your tissues and muscles need oxygen to function effectively. This condition is normally treated with iron supplements. Eating too little iron over an extended amount of time can cause a shortage in your body. In women of child-bearing age, the most common causes of iron-deficiency anemia are heavy menstrual bleeding or blood loss during childbirth. Nine percent of women ages 12 to 49 years are deficient in iron . Certain medical conditions can cause internal bleeding, which can lead to iron-deficient anemia. Examples include an ulcer in your stomach, polyps(tissue growths) in the colon or intestines, or colon cancer. Regular use of pain relievers, such as aspirin, can also cause bleeding in the stomach. Certain disorders or surgeries that affect the intestines can also interfere with how your body absorbs iron. Even if you get enough iron in your diet, Celiac disease or an intestinal surgery such as gastric bypass may limit the amount of iron your body can absorb. When caused by inadequate iron intake, iron-deficiency anemia can be prevented by eating a diet high in iron-rich foods and vitamin C. Mothers should make sure to feed their babies breast milk or iron-fortified infant formula. Along with the precautions (mentioned above) constitutional Homoeopathic medicines will help the patient to maintain and produce haemoglobin and thus increase the immunity.